Just 13 more days until St Patrick's Day gang! I seriously LOVE St Paddy's day. 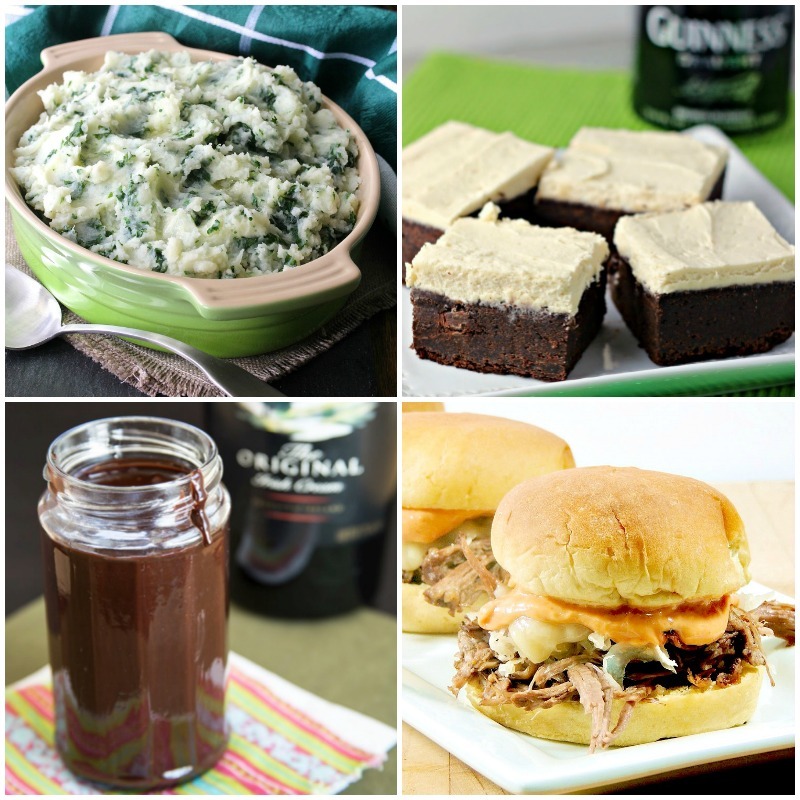 That is why I had to put together this roundup of 20 Spectacular St Patrick's Day Recipes. maybe it is because I love to drink Irish beer and whiskey? I passed the love to my kids too, especially Mini-Me. We used to set up leprechaun traps, paint our faces, and one year she decided it would be fun to dye everything in my fridge green. E V E R Y T H I N G! We had green milk, green coffee creamer, green sour cream, and at that time I was using eggbeaters a lot so guess what color my cheese omelet was? She even dressed up our dog. So to share my love for the day with you, without dying all of your food green, I decided to share some serious St Patrick's Day nomage with you. I am curious though, how do you celebrate the day? Leave me a comment, I would love to hear your stories! If you like this roundup you might also enjoy these. LOL ya he was a good sport. We used to dress him up for Halloween too :) I hope you enjoy the recipes (I will remove all of the calories for you). Your pictures are absolutely stunning do you take them yourself? It all looks great but those Shepherd's Pie Loaded Baked Potatoes??! Oh my, they look amazing!! I know! That is one of the first recipes I am making!! Aww your dog is so cute! 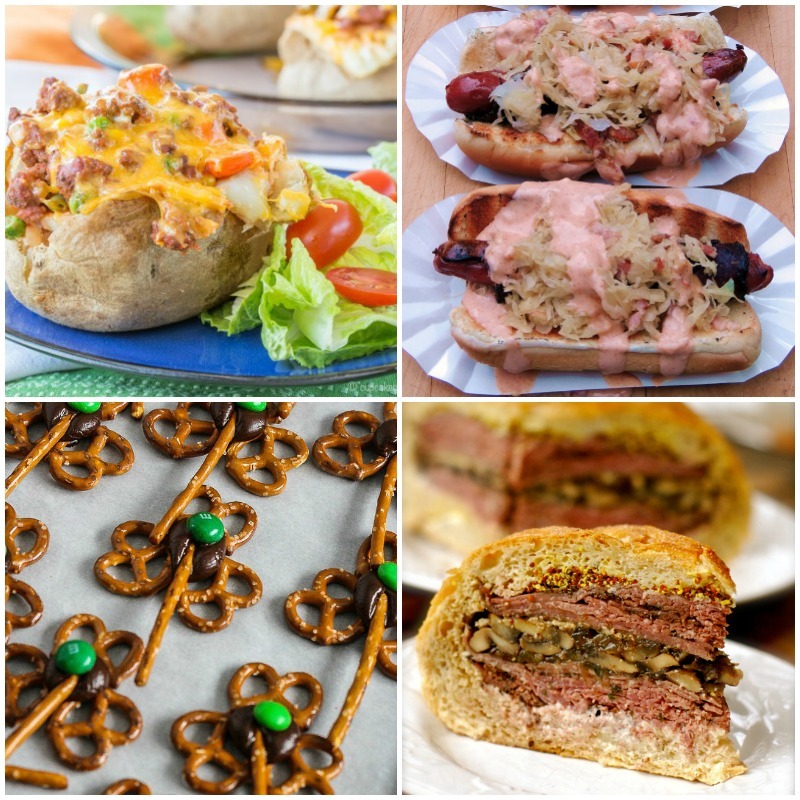 I never expected so many St. Patrick's Day meal ideas! Wow I am hungry now! I'll have to make one this week! Can't go wrong with Nachos- I might have to try those potato nachos! Thanks Stephanie :) he was quite the character! I am with you on the nachos thing. They are a MUST try in my book! Yes! I love fun festive recipes! Oh, you are deffo making me hungry now haha. I will surely try out some of your receipe in the weekend, my friends are going to love them! 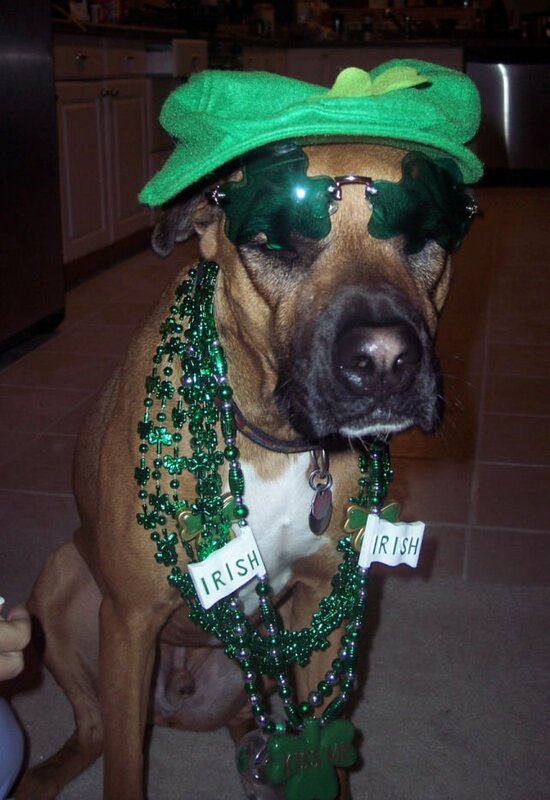 Love how you jazzed up your pup for St. Patty's! So cute! 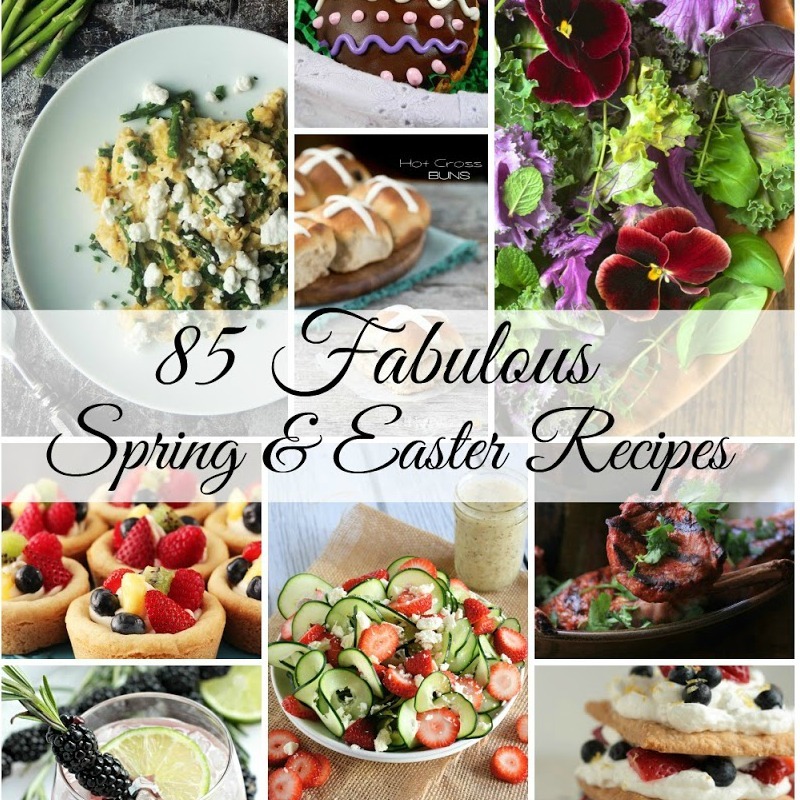 I don't actually celebrate the holiday, but regardless these recipes look so yummy! These all look delicious. And the day is coming soon so definitely worth trying. Wow! Great list! I want to try the Reuben dogs. I bet they are tasty and yummy! I love that you even dress your dog! Everything looks delicious - we have a Leprechaun hunting day with our little boys to celebrate! These all sound so delicious!! 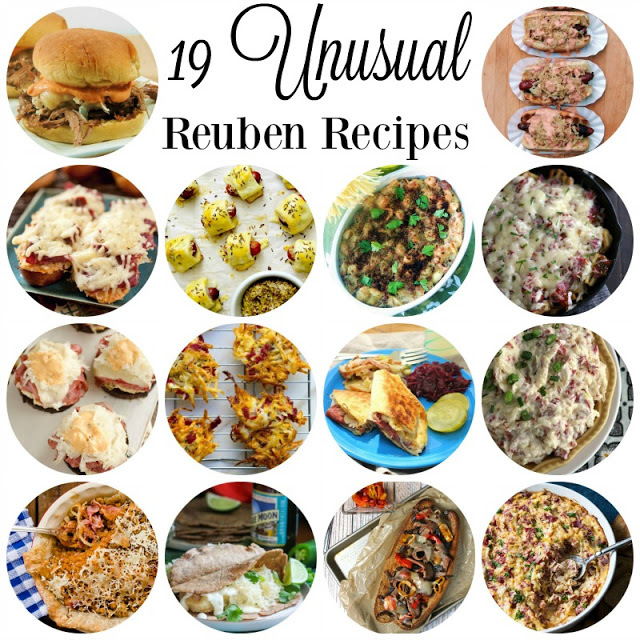 Especially the Reuben! Thanks for sharing! OMG your doggo is the most festive fellas I've seen! And he seems liking it a lot :D Happy St Patrick's Day! Now I wonder where are the Irish here in Manila? I love love all these recipes. Plus your dog is so cute! Perfect. 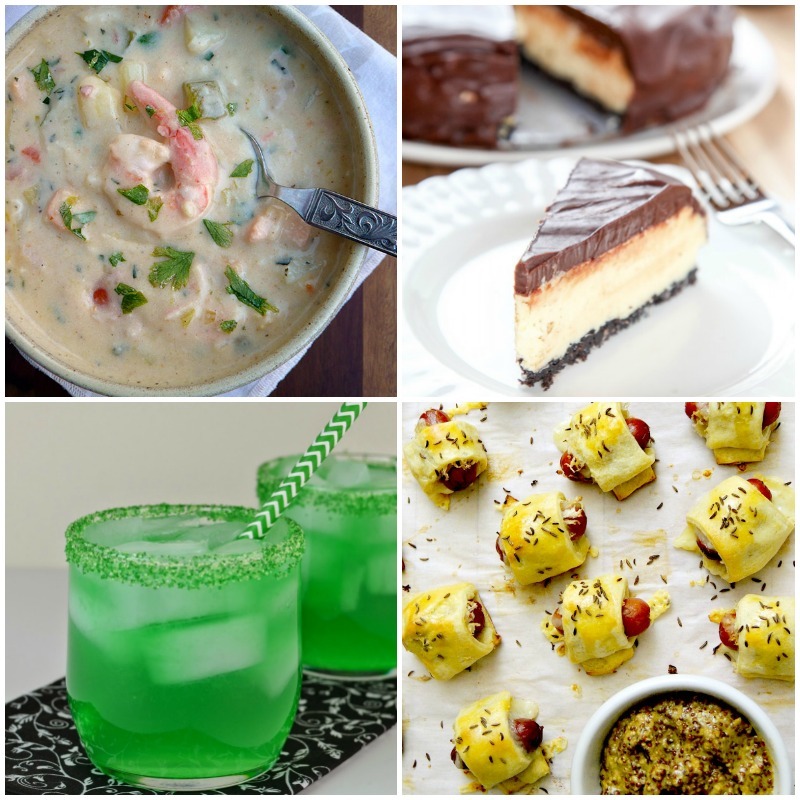 I have been looking for goo recipes for St. Patty's day. I've picked a few of yours to make on St. Patty's day. 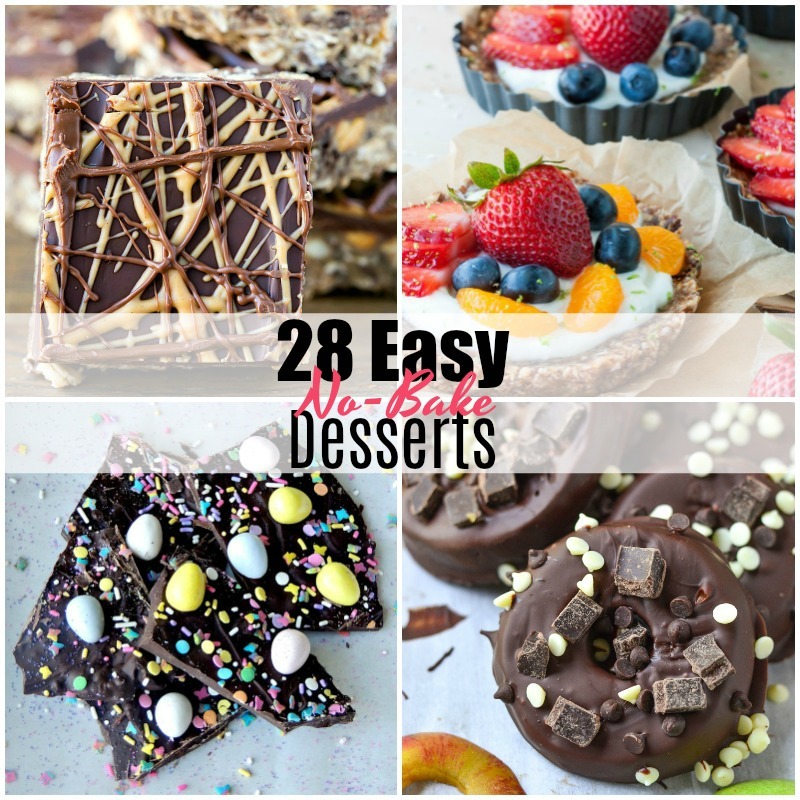 These are some great recipe ideas. I love making holiday themed food, so this right up my alley! Oooh, these are some awesome recipes. I love the shamrock pretzel idea, it would be fun to make with my children! Thanks for sharing. 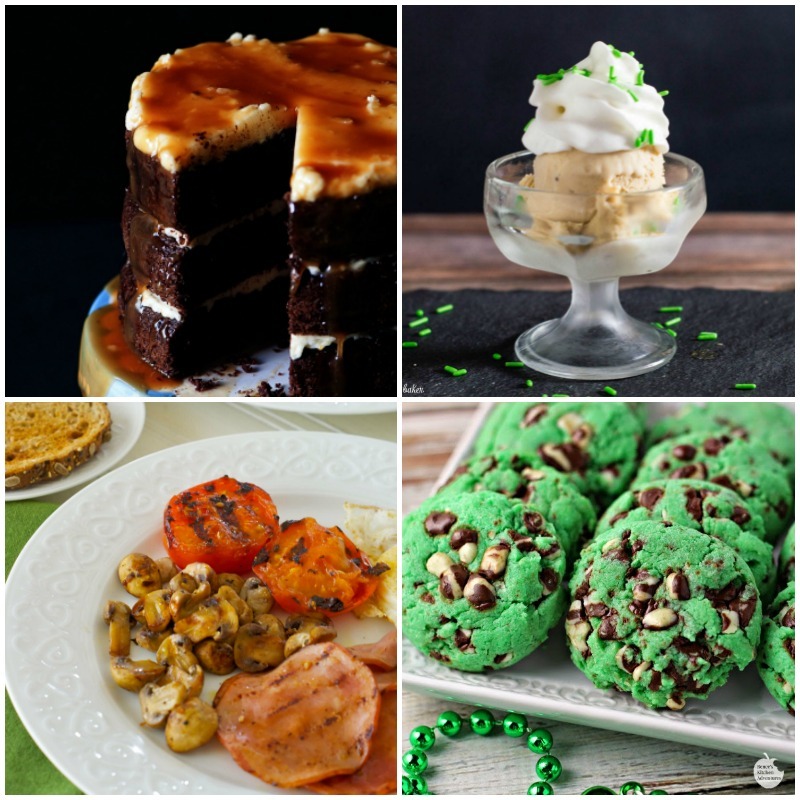 All of these look like some pretty amazing recipes for St. Patricks Day. I am sure my daughter would love to try making these with me. Should be interesting. Patty's! So cute! 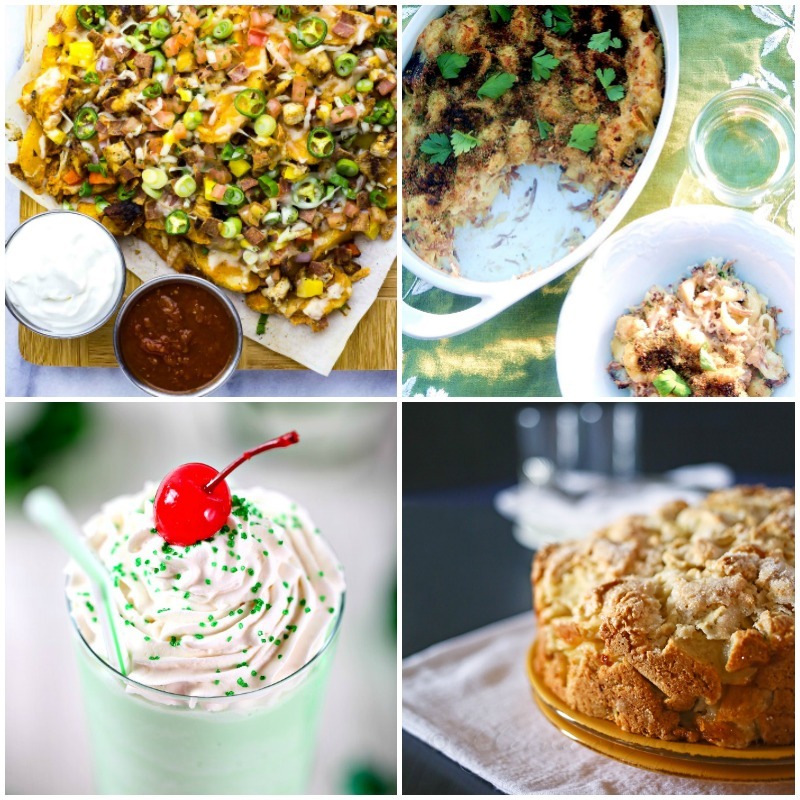 I don't actually celebrate the holiday, but regardless these recipes look so yummy!